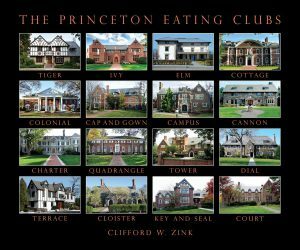 Princeton Prospect Foundation provides for periodic free public access to Princeton University’s iconic eating clubs where generations of students have taken meals and socialized in historic and architecturally significant clubhouses that date as far back as 1895. The next open houses will take place over the course of at least two afternoons in the fall semester of 2019 and will be publicized beforehand. There is no fee to visit the clubs during open houses, nor are reservations required.